Seetaram Mehandi Art, Alkapuri, Vadodara is a team of talented mehendi artists that can make your bridal look stand apart with the finest of designs. The team adorns your hands and feet with unique motifs that are created to complement your bridal attire, making it a preferred choice across the city. 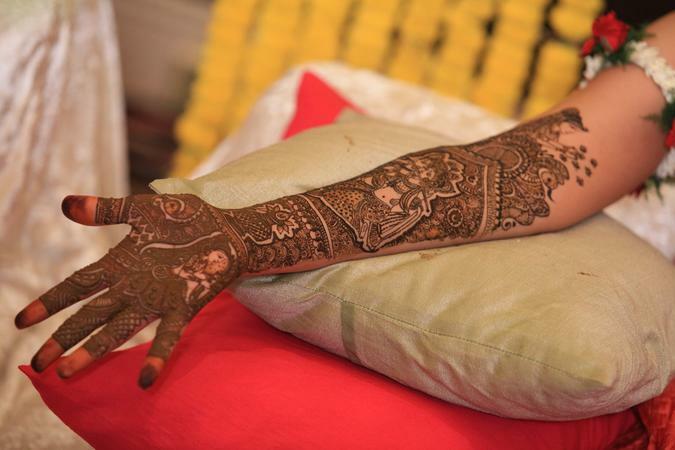 Seetaram Mehandi Art is a bridal mehndi artist based out of Alkapuri, Baroda . Seetaram Mehandi Art's telephone number is 76-66-77-88-99, Facebook page is Seetaram Mehandi Art and address is Alkapuri, Baroda. In terms of pricing Seetaram Mehandi Art offers various packages starting at Rs 2100/-. There are 0 albums here at Weddingz -- suggest you have a look. Call weddingz.in to book Seetaram Mehandi Art at guaranteed prices and with peace of mind.